Links marked with * are affiliate links, which means I will earn a small commission if you buy anything through them. 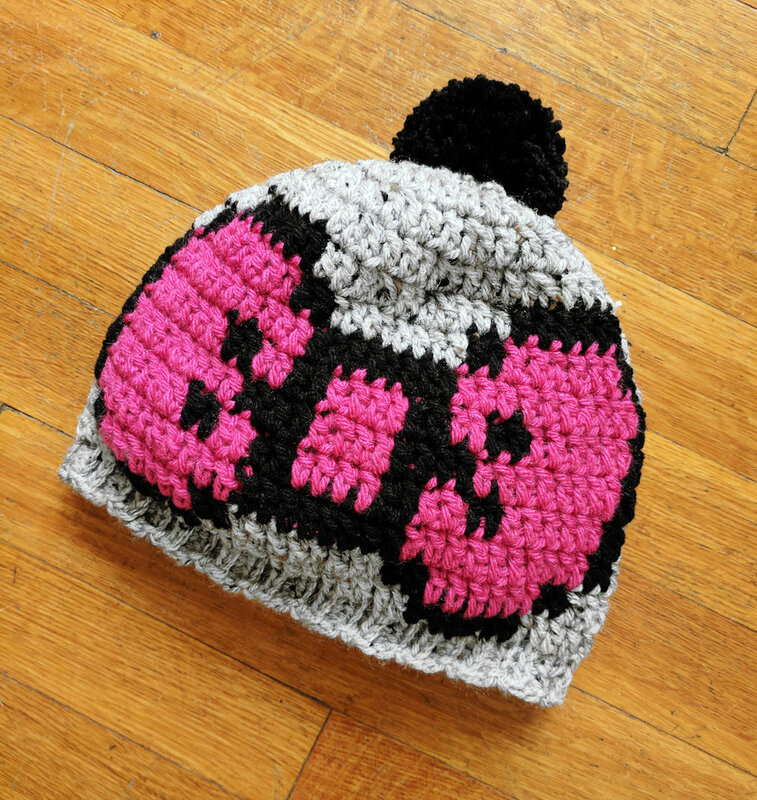 It's called, very descriptively, the Bobble Sweater, and it's written by Nicki Trench. And it's SO ME. When I showed my fiance, he was like "that sweater is so you." See? Anyway, the sweater's part of a book (one of several she's published!) 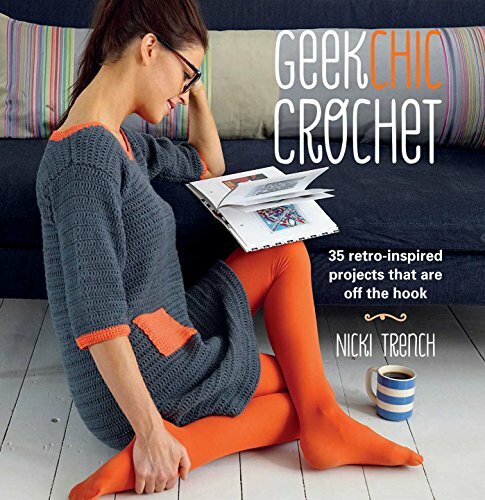 called Geek Chic Crochet, which you can get on amazon in paperback* (some really cheap used ones!) or kindle*. I got the kindle* version because I wanted to start immediately! You can also do an online search of all libraries near you for this book, which is such a cool we're-living-in-the-future option, you know? I'm using Silky Wool by Elsebeth Lavold* in color way 165, salmon. It's a lovely dk weight, and the fiber content is 45% Wool, 35% Silk, 20% Nylon. And super light weight, which is necessary for a sweater made of bobble stitches! It actually feels a lot like cotton, it's soft but sturdy. It's also $12.50 for 50g at my local yarn shop so I'm gonna go broke on this thing hahaha. I'll just buy 2 skeins at a time and go nice and slow. If I don't get matching dye lots, I don't think it'll be noticeable. It's the back panel, about 75% finished. So maybe I'll need like, 4 more skeins? Time will tell. Also, don't look too closely at this thing, you'll see too many mistakes! Bahaha. But they're mostly just on the edges, and I think you won't notice when it's all sewn up. So hopefully I'll be able to wear this by next winter!! And I won't over-heat and die because the yarn is perfect!! What are you guys working on right now? 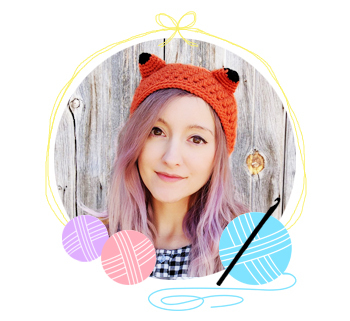 Have you ever crocheted or knit a sweater? Leave me a comment!